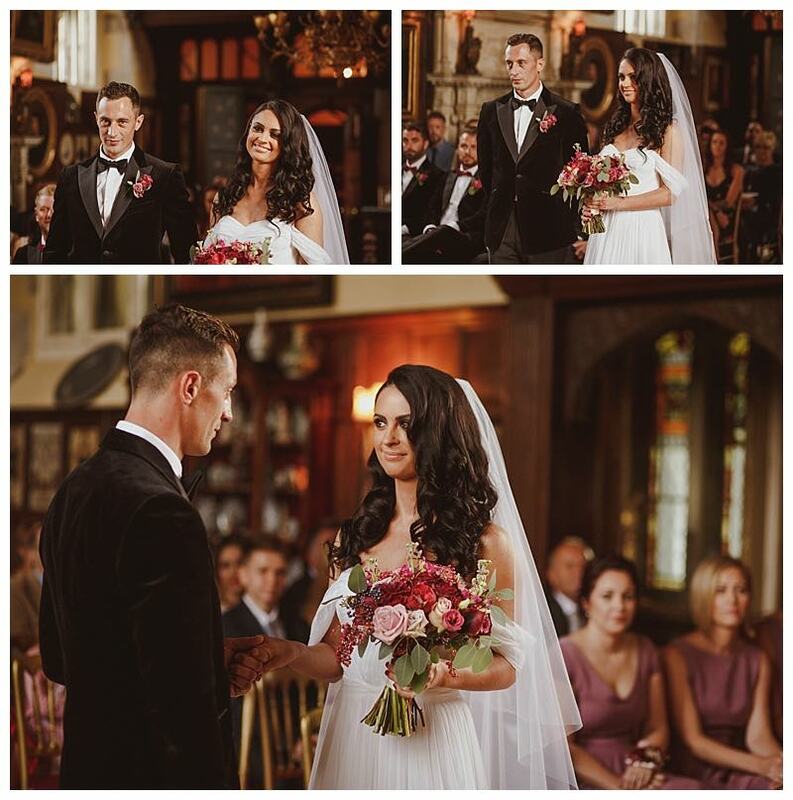 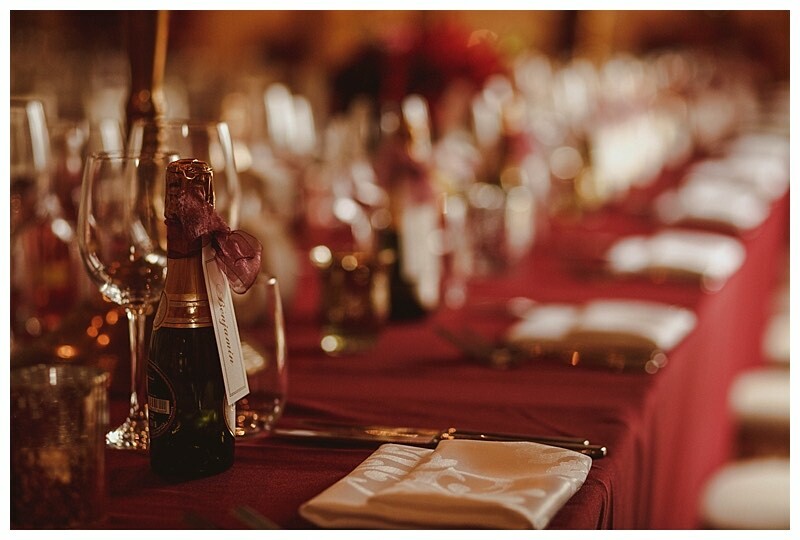 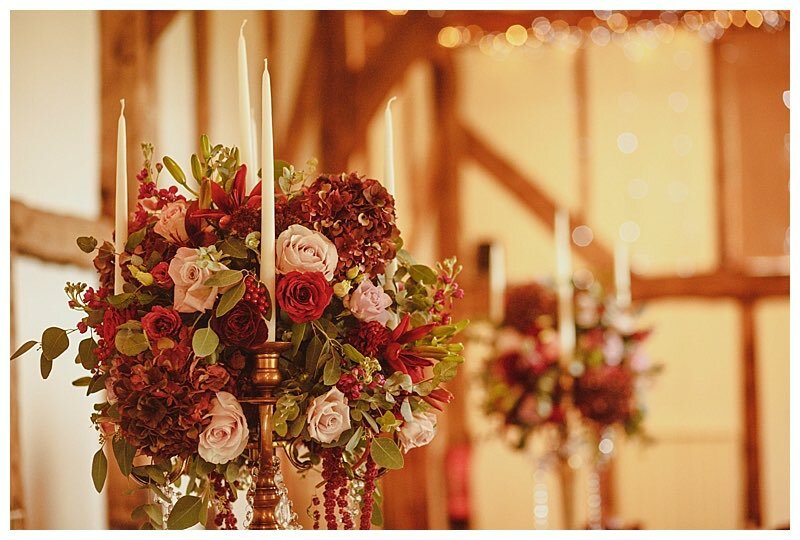 What a stunning burgundy wedding flowers theme this wedding went for! 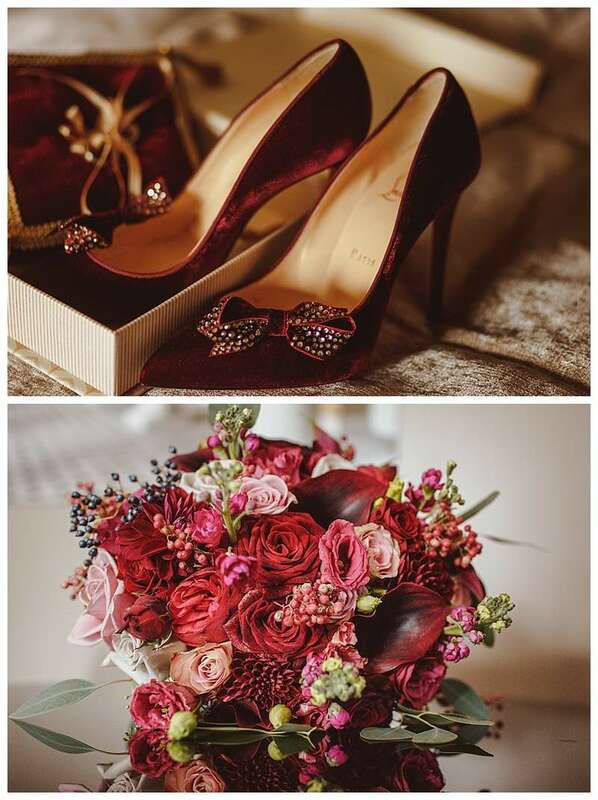 I have been meaning to share these beautiful photos for a while, they are so gorgeous! 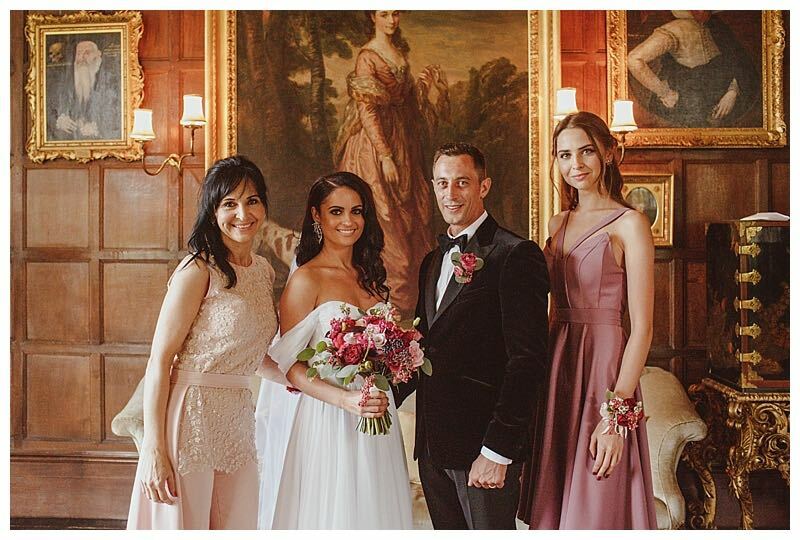 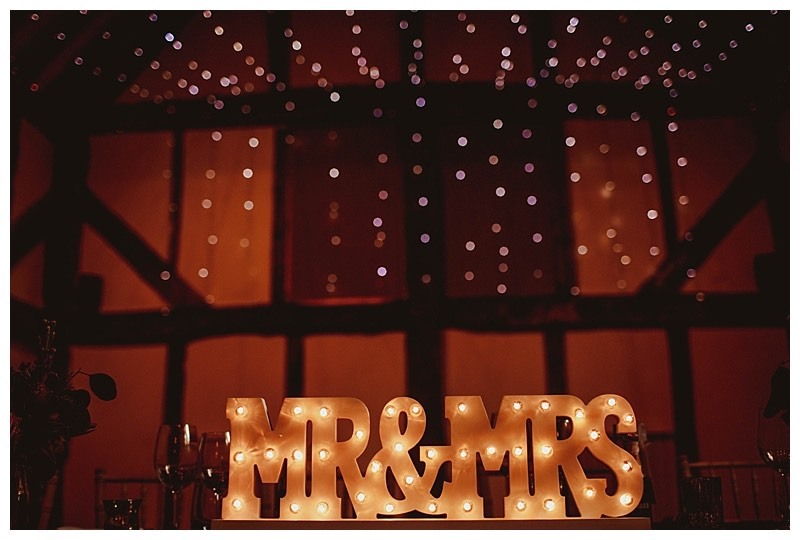 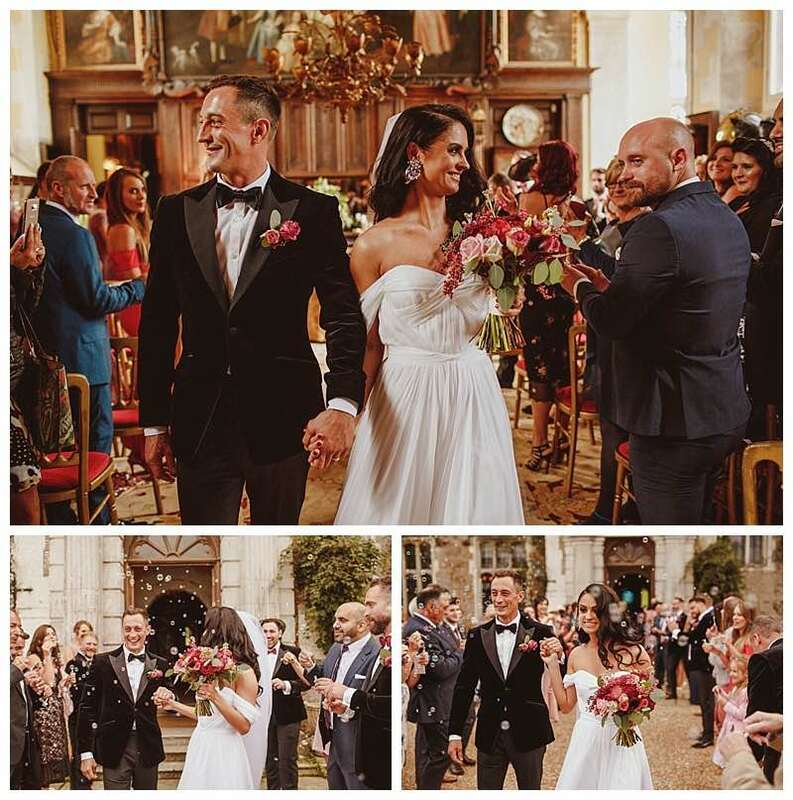 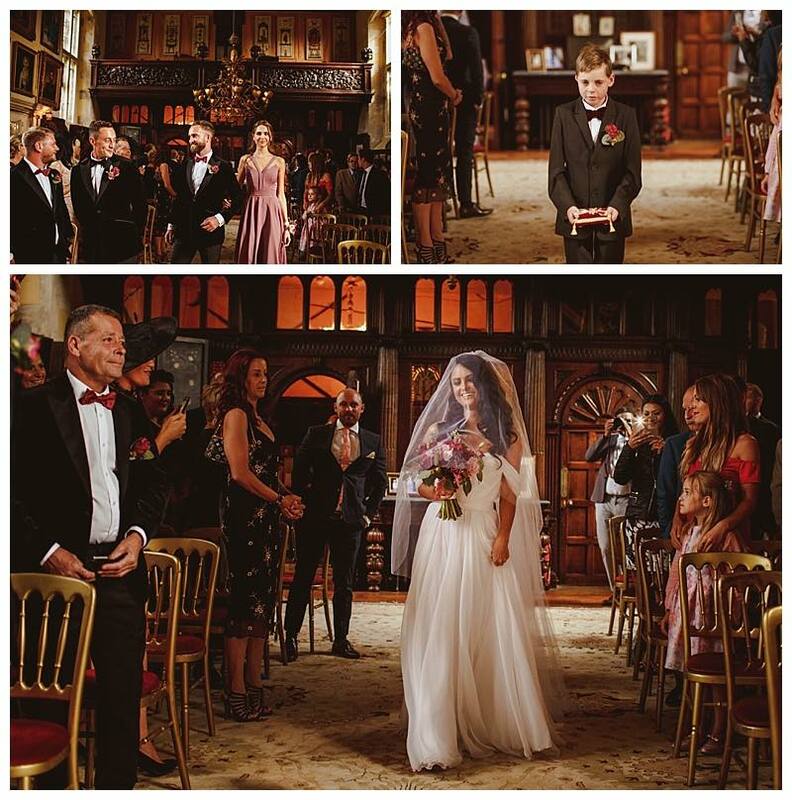 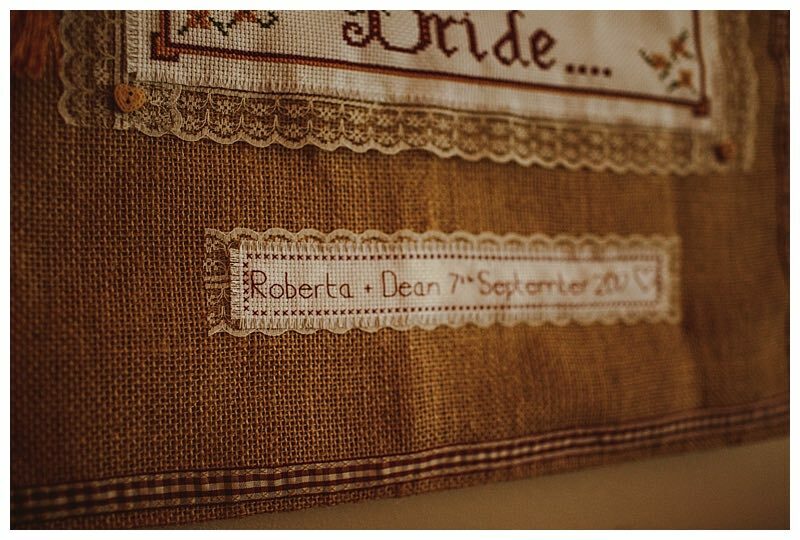 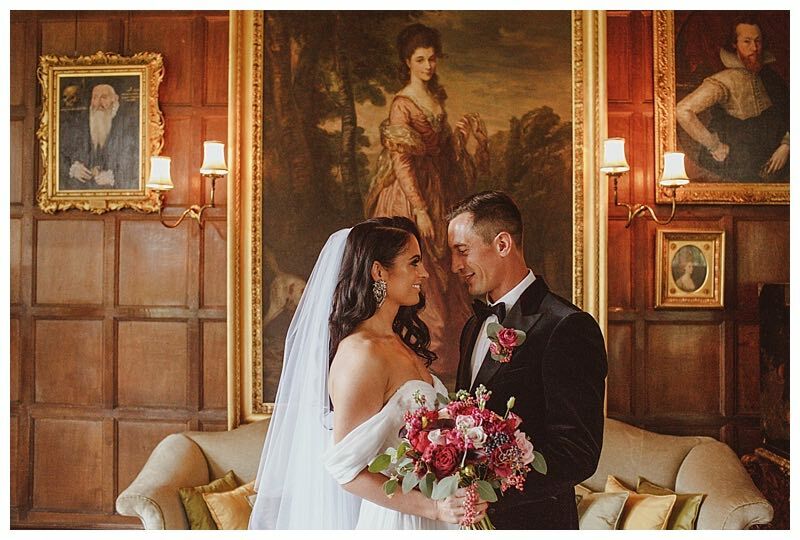 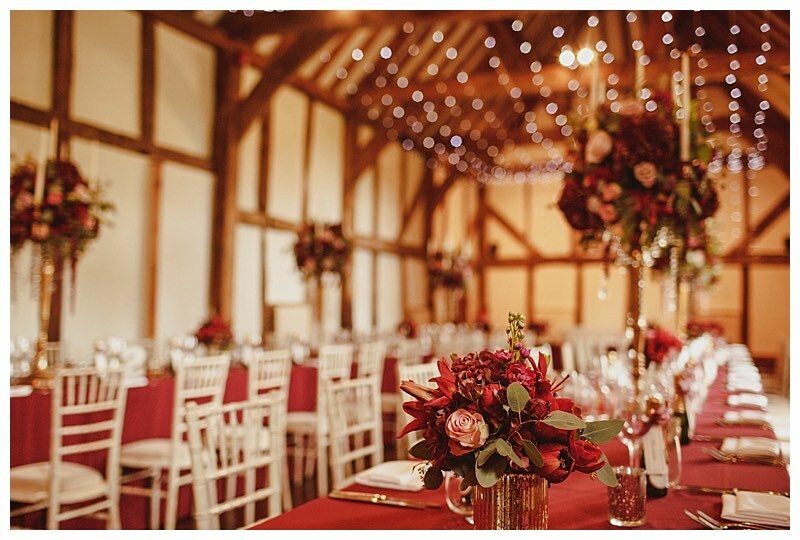 Roberta and Dean tied the knot at Loseley House, with the wedding reception at the neighbouring barn at Loseley Park. 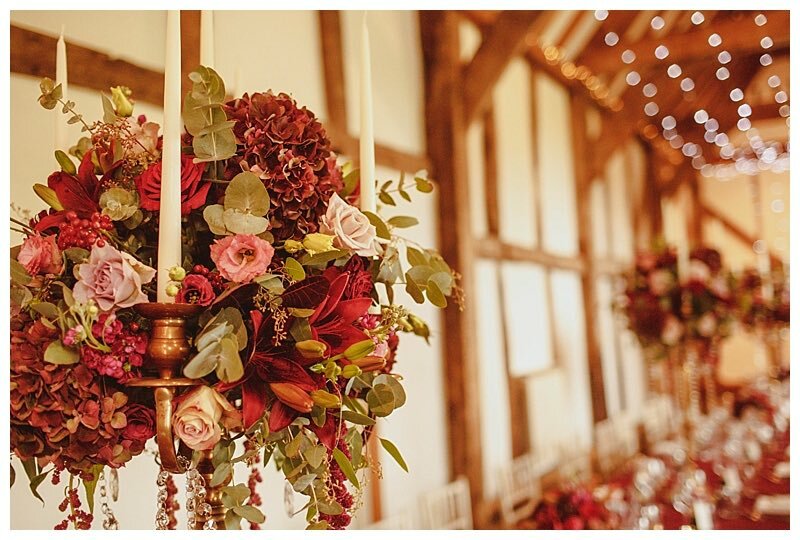 We are familiar with the house and barn from past weddings, but it was a real pleasure to design a totally different look for this gorgeous late summer wedding and i really loved the rich burgundy wedding flowers at this barn wedding. 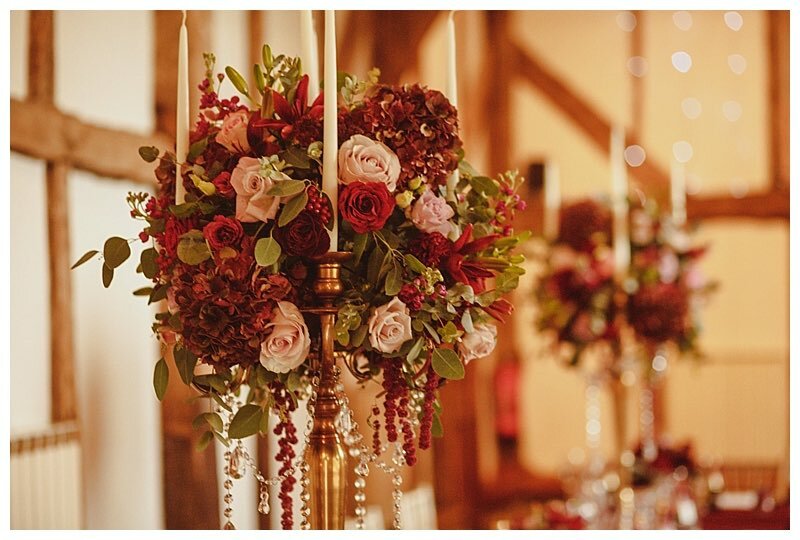 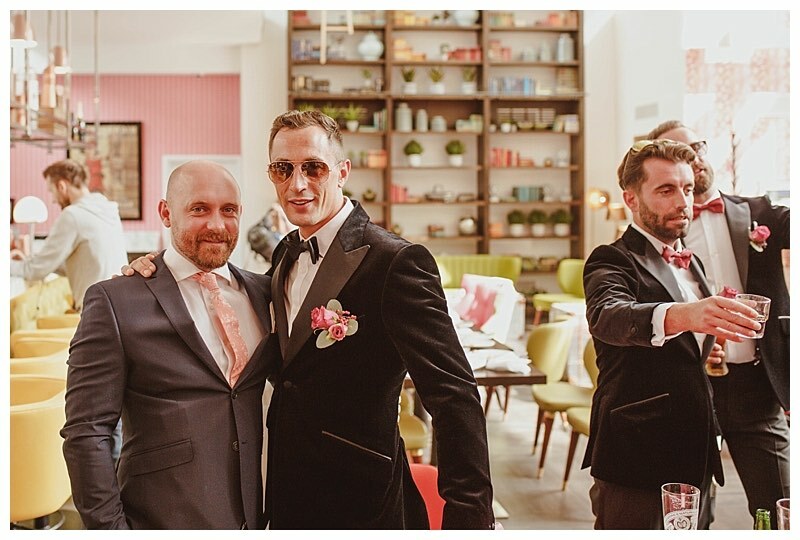 Roberta opted for sumptuous antique gold props with rich burgundy wedding flowers and subtle accents of vintage dusty pinks. 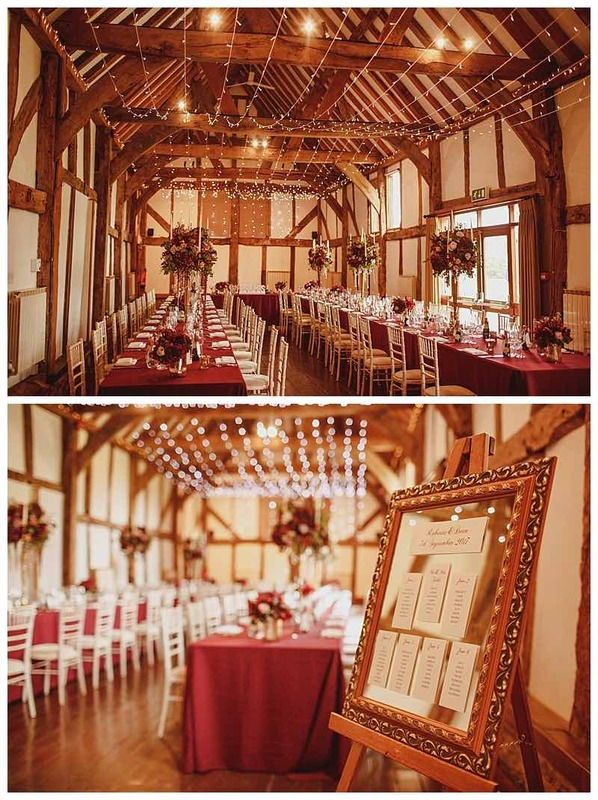 The colour scheme suited the barn really really well, picking up on all the rich oak beams and standing out nicely against the white lime washed walls. 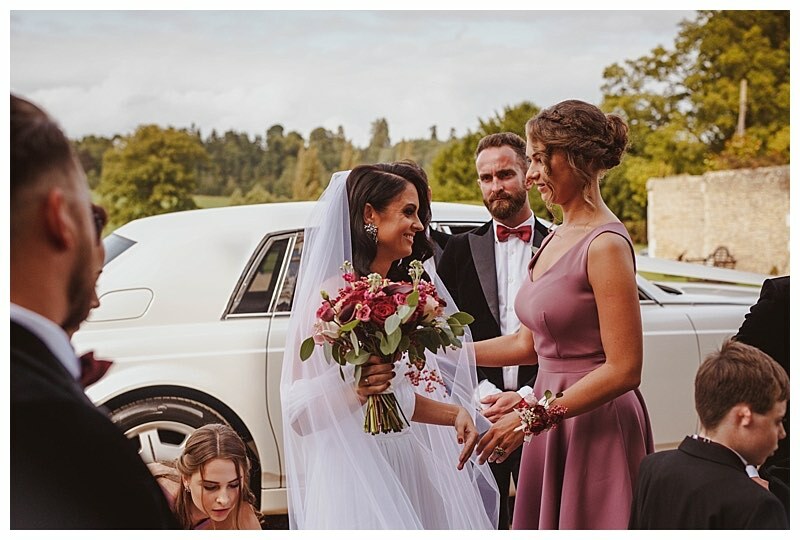 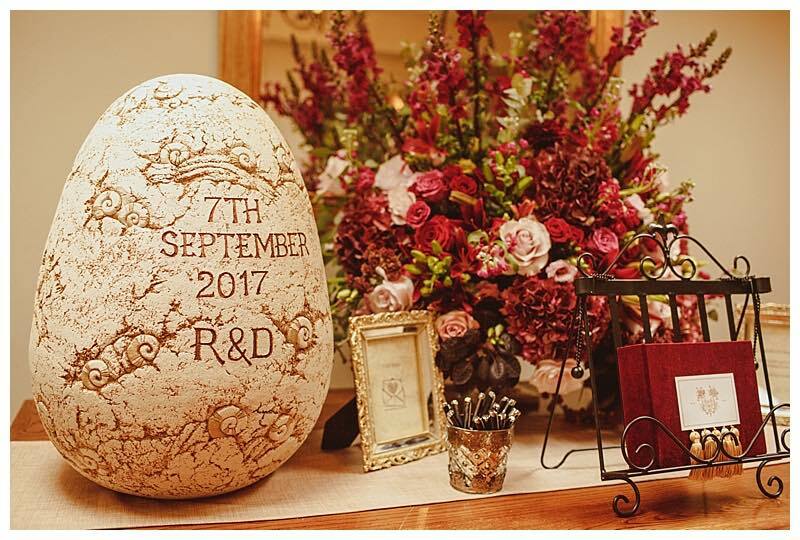 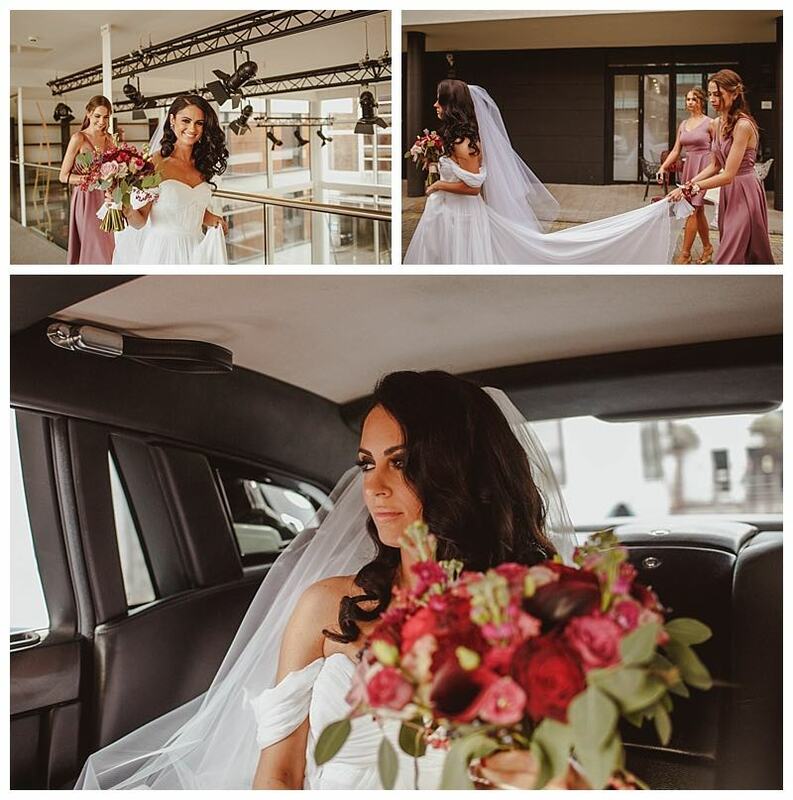 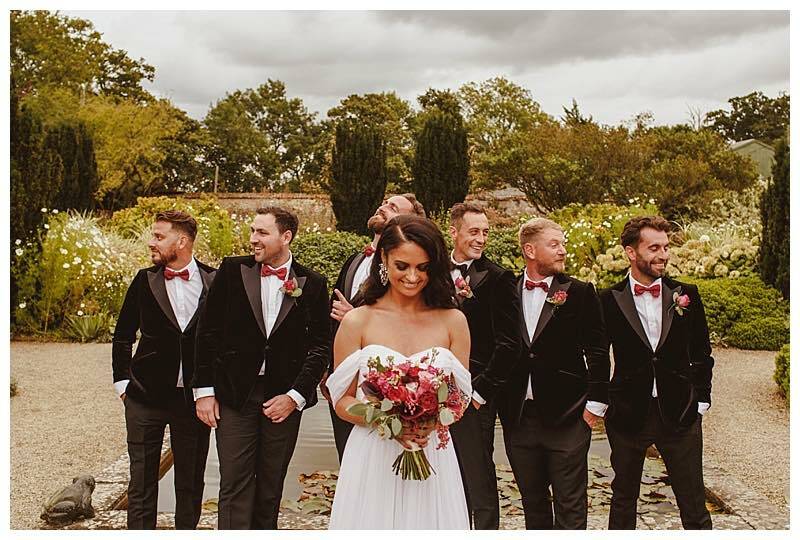 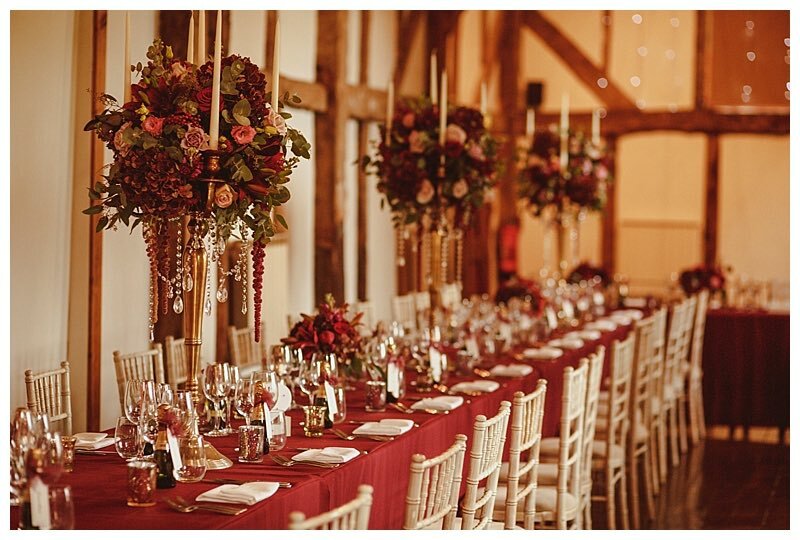 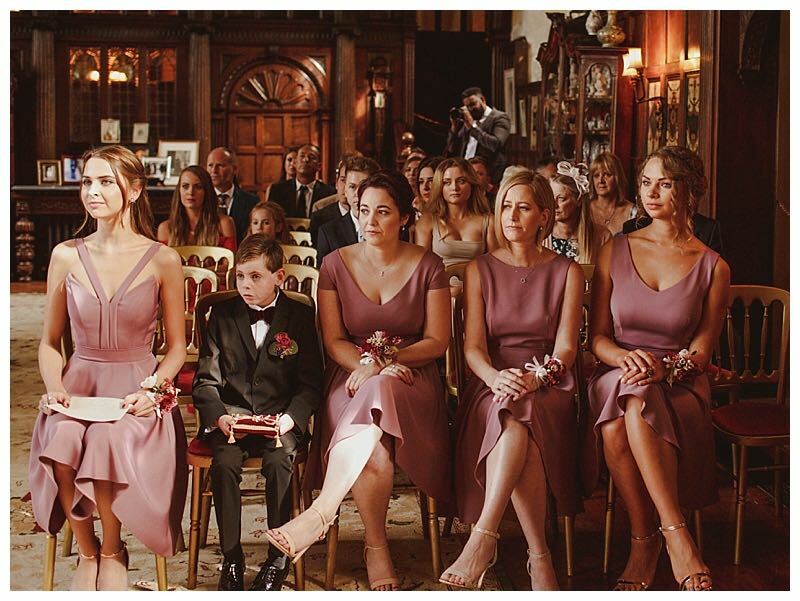 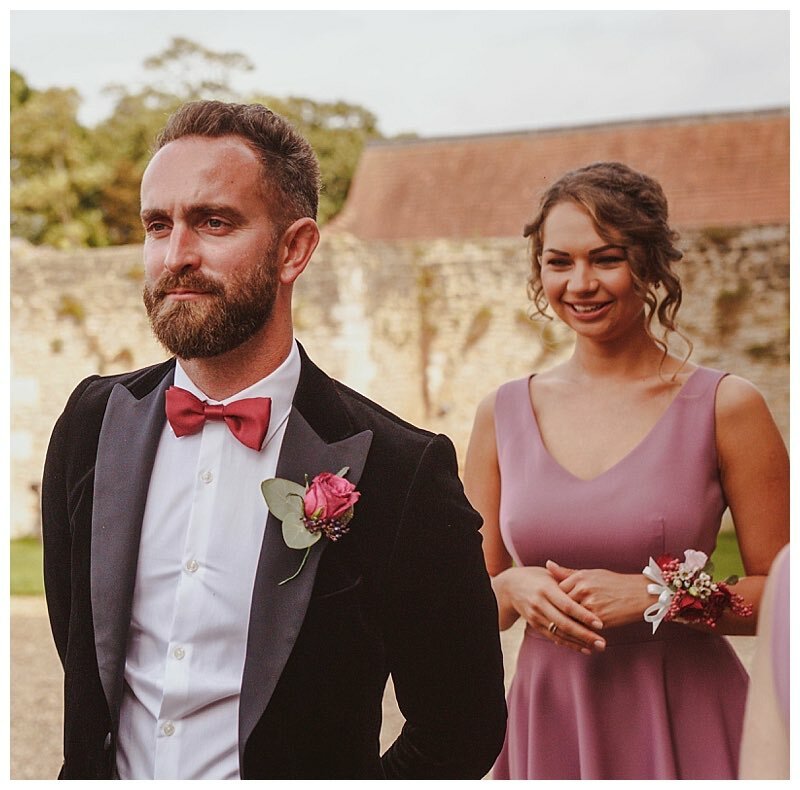 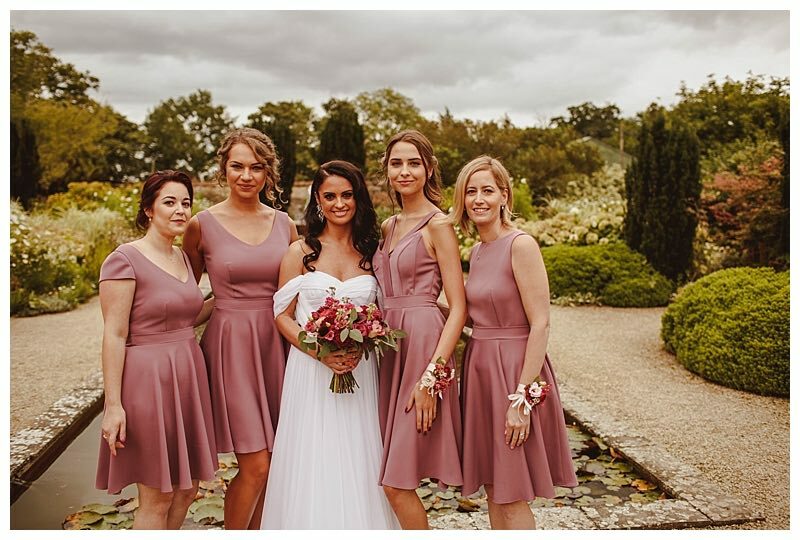 Roberta’s love of all things burgundy paid off in spades, starting with the stunning burgundy bridal shoes and ending with Roberta’s choice of table coverings in burgundy cloths, which added a new dimension to the day, and totally transformed the barn. 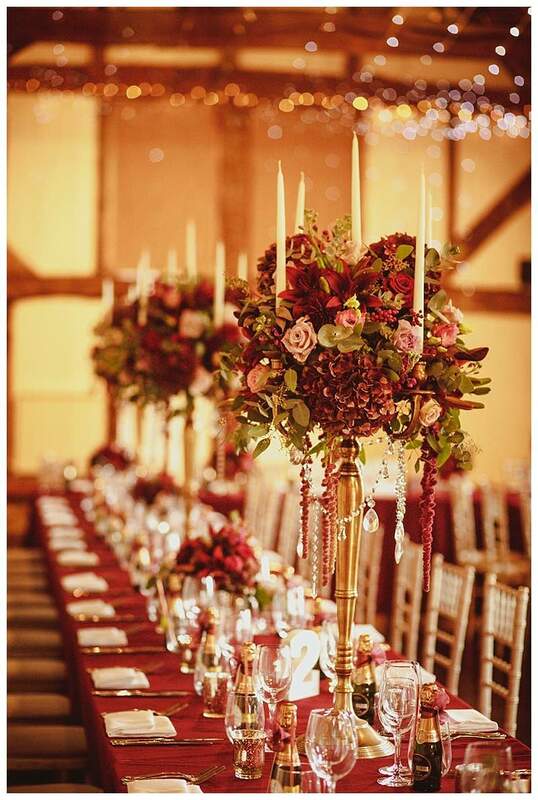 The banqueting style layout also worked really well and really suited the boho laid back style of the wedding.